HOME / DOGS / PETSAFE FREE TO ROAM WIRELESS FENCE REVIEW – IS IT WORTH IT? Digging an entire yard to lay wires or putting up a pricey traditional fence may not be everyone's cup of tea. PetSafe Free to Roam Wireless Fence system offers a very cost-effective solution. Not only is the system easy to setup, but it comes packed full of functionalities as what a traditional fence provides. The package comes with a quick start guide. The collar is an adjustable ¾ inch collar strap. The durable nylon straps on the collars are suitable for neck sizes between 6 to 28 inches, which give pet owners the flexibility to use them on different sized dog breeds. It works by the transmitter creating a circular boundary zone with coverage of ½ of an acre or 90 feet in all directions. When your dog comes into close proximity with the boundary, receiver collar on its neck picks up these radio signals and emit a warning beep. The pet will get a mild correction if he wanders outside the boundary. The static correction and warning beep act together to remind the pet that it has left the designated area. The harmless correction technique is proven to be effective and safe. The boundary zone diameter is a circle and cannot be adjusted. Their system has 5 levels of corrections that the pet owner will finetune to achieve the most effective solution. The quick training guide gives a step by step procedure on how to train your pet to recognize the static correction as a warning and then to remember the containment area. The system works best with dogs 6 months older or preferably over 5 lbs. For aggressive pets, it is advisable to visit a veterinarian to consult on what could be the most appropriate method. Some dogs get afraid of the collar especially if it is making them uncomfortable. Make your pet accustomed to the collar for maximum effectiveness. How To Setup PetSafe Free To Roam Wireless Fence? Choose a suitable area for the wireless transmitter, preferably free from a metal roof, metal wall or metal appliances. This is because metal could interfere with the system's wireless signals. The operating range and reliability are affected by terrain to ensure the place you choose is less sloppy. Other factors to consider include topography and dryness. A cool, dry place is suitable. Traveling pet owners in cabins can place the transmitter 5-10 inches from the cabin side since it's usually metallic. Mount the transmitter (at least 2 feet above ground) on the wall using the included screes, anchors and mounting bracket. Turn it on. Switch control knob to 8 and boundary knob to high. Ensure the batteries on the receiver collar are well fitting. Turn the collar while test-tool light contacts are contacting the endpoints of the collar. At the yard, mark the boundary using flags. The boundary outline is recognized by the beeping of the receiver collar at the boundary of the containment zone. The flags are easy to spot, and the dogs can identify them as a boundary quite easily too. Place the collar on the dog neck. Make sure the collar is at least directly in contact with the pet's neck. Remember the collar is ergonomically designed for comfort. The PetSafe Free to Roam Wireless Fence system is small and compact to move around with. The transmitter does not occupy a lot of space. Technically it can be placed almost anywhere, but it is recommended you place it at the center of your property since the transmitter is the geometric center of the containment area. This way you can make sure your pets faithfully accompany you safely no matter the adventure. The system works with the original Wireless Pet Containment System (PIF300) and Receiver collars (PIF-275). Compatibility of PetSafe Free to Roam system with other systems (mentioned) is good though great care should be taken when purchasing additional collars. Just like any other wireless system, it is movable, and its size and location can be adjusted. Though the shape remains circular, it is still excellent. 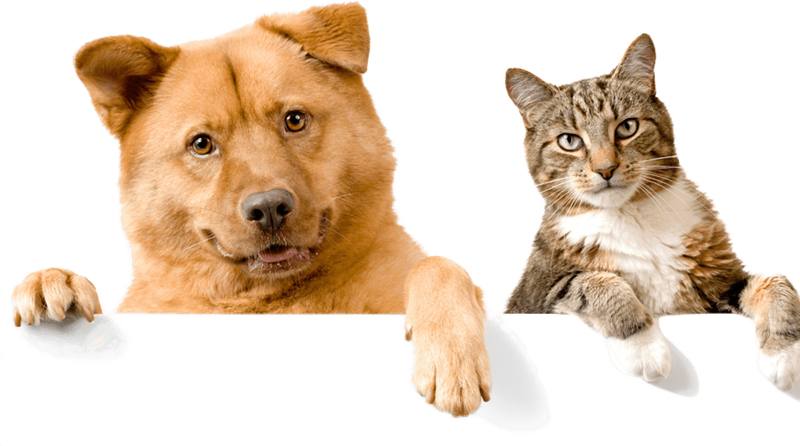 A visit to the neighbors' home or a friend is made easy thanks to PetSafe Free to Roam system. For households with more pets, the system can accommodate more. All that you have to do is to purchase additional compatible receiver collars. Pet owners out on an adventure need not worry since the receiver collars are waterproof hence adaptable to all kinds of weather. However, pet owners are advised not to immerse the device in water to avoid damage. The training guidelines are easy to follow especially to first time purchasers. Each session is just 15 minutes and takes around two weeks to complete. Adherence to the step-by-step instruction will ensure you get fast results. This also provides you select appropriate static correction and avoid any unnecessary usage of the containment device. Compared to the Stay and Play version, this model has a range of 30 feet less in diameter. The batteries for PetSafe Free to Roam Wireless Fence system are not rechargeable. Though this is a downside, some folks have no problem replacing them once in a month. For pet owners who may dislike the idea of recharging the collar every few days, purchasing new batteries may not be a bad idea after all. The batteries are easy to install and have will last you around 1 to 2 months, based on actual user reviews. They are compatible with Wireless Pet Containment System (PIF-300) and Receiver Collar (PIF-275). The PetSafe Free to Roam Wireless Fence system is a great product that has solidified its place in containing pets. Overall reviews are generally positive and many dog owners have praised the effectiveness of this system in keeping their dogs contained. There were some concerns raised regarding the shape of the boundary. But similar to other wireless fence systems, this is unavoidable. Taking all factors into consideration, this product is definitely recommended at its price point.